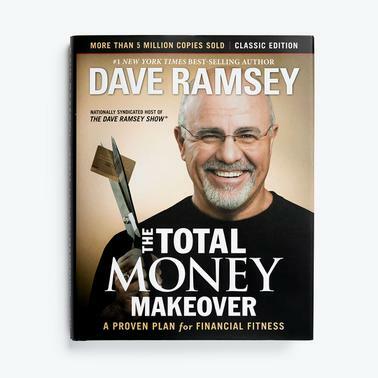 Add The Total Money Makeover Workbook to apply the principles in Dave's #1 bestseller to your life and your budget. 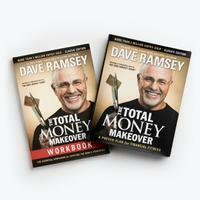 The Total Money Makeover is Dave’s all-time bestselling book. It has helped millions of families get rid of debt and change their lives forever with its simple, practical seven-step plan. How does it work? By getting to the heart of your money problems: You. Dave condenses his 20 years of financial teaching and counseling into 7 organized, easy-to-follow steps that will lead you out of debt and into a Total Money Makeover. Plus, you'll read over 50 real-life stories from people just like you who have followed these principles and are now winning with their money. It is a plan designed for everyone, regardless of income or age. Design a sure-fire plan for paying off ALL debt. Recognize the 10 most dangerous money myths. Secure a healthy emergency fund and save for retirement. Positively change your life and your family tree!